The first part of an injector swapout requires the removal of the valve cover. Once the chassis is opened, then the repair requires the removal of the CAC tube as well as the various control module and sensors to get the valve cover free of the assembly. Note that some of the securing bolts can be a bit stubborn due to the evaporator casing being right nearby. With the first step completed, the standpipe then needs to be removed. With the pipe out of the way, the oil rail can then be addressed. The oil rails can be loosened and drained into the cylinder head to catch the oil in them. A socket wrench can then be used to unlock the injector connector locking taps. This allows the injector connector to be moved. The injector hold down clamp bolt then needs to be removed. 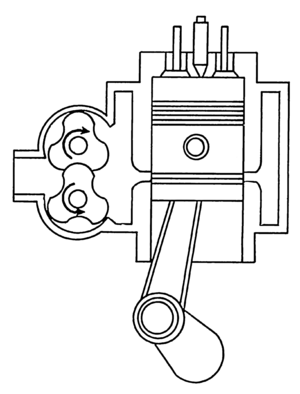 Once loosened, the injector itself will float out of its bore. This allows the mechanic to examine the injector’s o-rings and copper seals for damage. A new injector can be inserted with new oil, reversing the steps by using the clamp to keep the new injector in place. With a new connector o-ring lubricated, it too can be inserted. More oil should be added as the oil rail is put back into place. The covers and sensors can then be installed back on and closed up. Once complete, expect starting the engine to take a bit. The assembly has to push out all the air that it got exposed to and re-assert a vacuum again. Once the air purges, then the new diesel injectors will work and flow accordingly. A bit of exhaust smoke can be expected in the first two dozen miles. The Exhaust Gas Recirculation valve, or EGR for short, is responsible for the recycling of noxious emissions and placing them on a second run through your car’s engine. If the EGR valve is going or gone, your engine will be experiencing all kinds of issues, from a rattling noise to fuel inefficiency where it’s just guzzling the gallons and eating your wallet every few days. Since other things can cause similar problems in the engine, the only sure fire way of eliminating the EGR valve is by removing it, shaking it, listening, and cleaning it. Cleaning the EGR valve is a simple six step procedure, simple enough if you can and are willing to identify the right parts of your car or truck’s engine and then take it apart. The EGR valve will be in a slightly different location depending on the make and model of the car or truck, but generally it will be to either side of the main engine block and the ignition control module. It might be cylindrical and vertical or horizontal and almost UFO shaped. Once you have figured out where the EGR valve is, remove the vacuum line that connects it to the valve to ignition module. Then remove the electrical harness that provides power to the valve and surrounding area. Finally unbolt the valve itself. Shake the valve. A side to side rattle means the valve is probably still good to use, but this isn’t a full proof detection method. No rattling means the valve definitely needs to be cleaned and hopefully will still be usable afterwards. Take the gasket off and check for problems with all the parts at this point. If it all looks good, just set it aside. Carb cleaner in a bowl is perfect for soaking and cleaning the valve, unless there’s electrical components; then you will have to clean it by hand. An overnight soak otherwise should do the trick. The following day put everything back the way you found it, and you should be good to go. Ford introduced the world to its powerful 7.3L Diesel engine in 1994 and for the next decade no truck would come close to matching the Power Stroke’s popularity. The Power Stroke ended production in 2003 but features such as the electronically controlled HEUI injector system have contributed to a legacy of over 2 million vehicles still on the road. In 1987 the International Truck and Engine Corporation (ITEC) was contacted by Ford to manufacture a heavy-duty diesel engine for the F-250 and F-350 model trucks. The bore of the 6.9L engine was increased to 4.11 inches, giving birth to the 7.3L IDI diesel engine. The engine performed respectably and would remain in use until mid-1994 when Ford changed from indirect injection to direct injection in the legendary 7.3L Power Stroke diesel engine. Naturally aspirated engines such as the IDI are preferred by many drivers because of concerns that turbocharging puts additional strain on engine that reduces its lifespan. However the 1994 edition of the 7.3L Power Stroke has proven to have longevity surpassing any similar engine, consistently lasting for 350,000+ miles. The Power Stroke utilizes a more efficient direct injection system to inject the fuel charge directly into the combustion chamber. Direction injection in the power stroke is offered through the Hydraulically Actuated Electronically Controlled Unit Injector. Each of the 8 engine chambers has its own 90cc shot fuel injector which require the use of two electronically-controlled oil pumps. 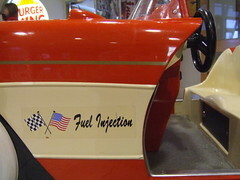 The pumps use two high-pressure rails to increase fuel pressure at the injectors. Supercharged, direct injection into the combustion chamber allowed the new 7.3L diesel engine to increase available horsepower from 185 horsepower in the naturally aspirated, indirectly injected IDI to an impressive 275 HP and 165 lb-feet more torque in the 7.3L V8 Power Stroke diesel engine. The 7.3L boasted performance unmatched by any other diesel engine offered on the market at the time, which is why over 2 million remain on the road, even a decade after production ended. Efficient direct injection made for a hugely popular and powerful truck engine which could last through heavy use and extreme conditions and became an industry standard for durable engines. With the new EPA regulations requiring an EGR cooler installation into all diesel vehicles, it’s important to A) know what an EGR cooler is, and B) know how it works and how to keep it working. Let’s take a 6.4L engine; a pretty good sized diesel engine at that. The EGR circuit that houses the EGR would also have the cooler running in the same circuit. As the EGR pulls the exhaust emissions back into the engine through itself, the emissions have to go through the cooler first. The cooler does exactly as its name implies; it cools. The cooled exhaust acts as an additional way to cool the combustion chambers inside the engine, producing less exhaust because the efforts of the engine are less from being cooled. So the process continues until the truck is turned off ad started again the next day. In a 6.4L powerstroke engine, the engine is already working overtime. The recirculated and cooled exhaust comes back through and slows down the strokes of the engine, even when the engine is still working to keep the truck up to the current speed. The EGR cooler never fully shuts off, but continues to work hard to keep the combustion chambers from exploding because of excess heat. It’s important that a diesel combustion engine doesn’t overheat because then it produces too much NOx emissions for the EGR to filter. When you hear the word “powerstroke,” you might think it belongs to the newest heavy metal band. But car enthusiasts know that a powerstroke is a type of diesel engine in a lot of high performance vehicles such as trucks, vans, SUVs, and commercial vehicles. The name powerstroke is most often associated with those engines in Ford vehicles. Most engines need oil for lubrication over parts and for cooling down the engine so that it continues to operate efficiently. This engine oil is under pressure as it moves over rotating bearings and camshafts, as well as sliding pistons inside the engine. The pressure oil lubricates the machinery so that it can move properly. For oil to circulate through the engine, oil pumps are used to maintain the correct amount of pressure to oil so that it constantly flows through engine machinery. High Pressure Oil Pumps Different engines require different amounts of oil and different types of pressure. For typical powerstroke engines, they require high pressure oil pumps. These high pressure pumps generate the necessary pressure that is required for the fuel injectors to fire. The larger the injector, the more pressure the oil must have for the engine, and the higher pressure pump that is needed for the right oil circulation. Problems With Oil Pressure When you have problems with the oil pressure, the powerstroke engine can become seriously damaged. 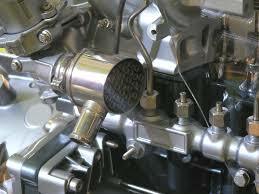 Most engine problems are the result of debris in the oil that clogs up the oil pumps filter screen. When debris clogs the screen, there is lower pressure running through the engine machinery. Changing the oil and replacing the oil filter can prevent the amount of debris circulating through the engine. Another major problem can involve basic wear and tear to the bearings and seals. When bearings and seals wear out, more oil will pass through the engine to result in lower pressure from the oil pump. To fix this problem, the bearings need to be replaced. High Pressure Oil Pumps And Powerstroke Engines Giving the Performance Your Vehicle Needs Powerstroke engines require high pressure oil pumps for a efficient running engine. Without these pumps, vehicles with powerstroke engines would experience problems that lead to engine damage and a vehicle that runs poorly, if at all.